Wild Rover Reviewed by Edgeville Buzz on November 11, 2010 . 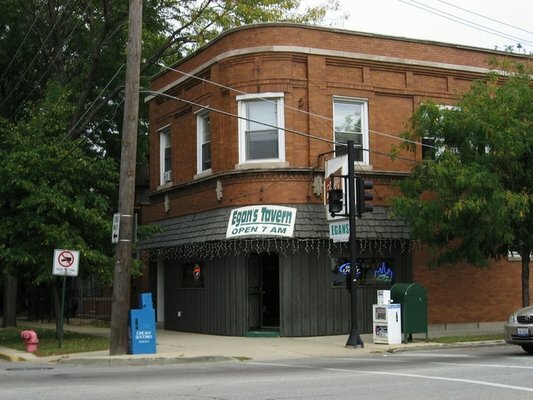 TimeOut Chicago earlier this week published an article regarding Chicago’s “50 Unknown Bars” which featured Edgewater’s Ollie’s Lounge and Gino’s North. In the past we’ve discussed other Edgewater gems such as Double Bubble and Sovereign Liquors. But one that we’ve been wondering about, which has not been discussed is Wild Rover (formerly Egan’s Tavern), which sits mysteriously on the corner of Paulina & Ridge with its “Open at 7AM” sign. Curious? Check out their Yelp Review. Has anyone checked it out?